Posted on Monday, June 27th, 2011 at 9:46 pm. Filed under: Animals, Frank Miles, Pets Tags: Dog, Frank Miles, Pets	RSS 2.0 feed. OMG! What an adorable little pup. What kind of dog is she? It’s hard to tell when she’s wet. You were so kind to adopt her. Good for you! Taking in a stray sure can teach us a lot about love, patience, and taking life as it comes. 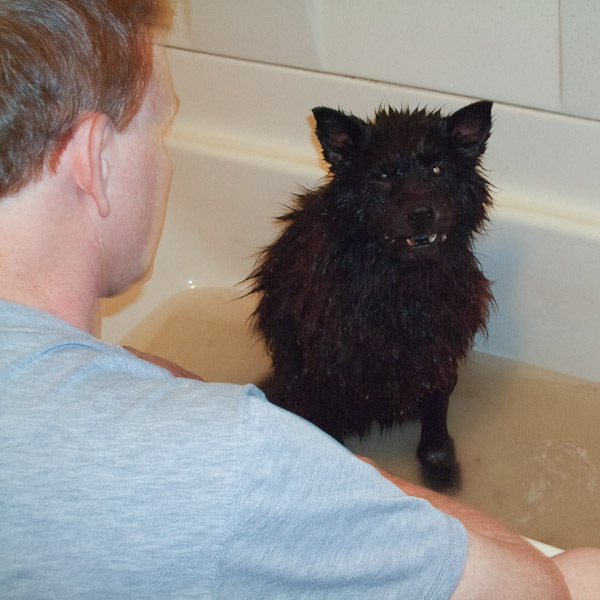 My Buddy was a similar case – and gets happy after his bath for the same reason! Hope you don’t mind, but I quoted you on one of my other sites. Credited, of course.